Built upon an American-hewn heritage in the Pacific Northwest, Sustainable Beauty is the true essence of Magna Design and reflects its commitment to the fine craftsmanship of modular office furniture. 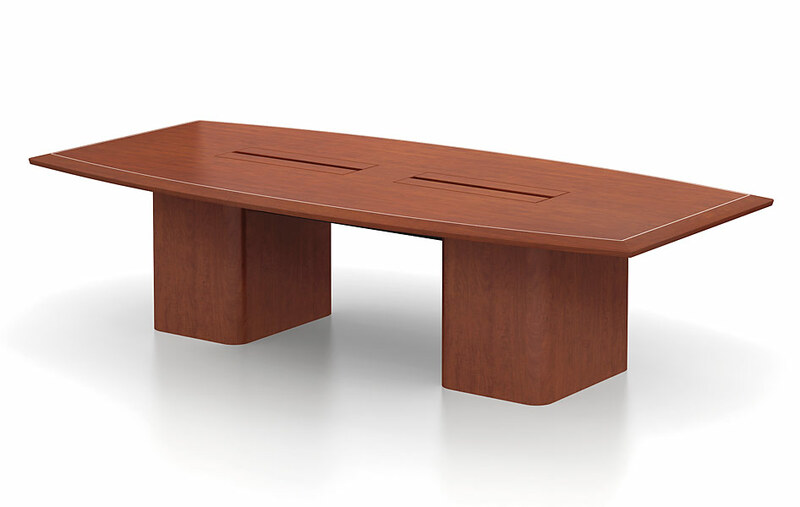 Magna Design conference tables provide refined, clean lines and a lighter scale suitable for conference rooms, board rooms, and small meeting rooms. Hardware and finish options enhance both contemporary and transitional aesthetics while efficient surface shapes make the most out of valuable real estate. 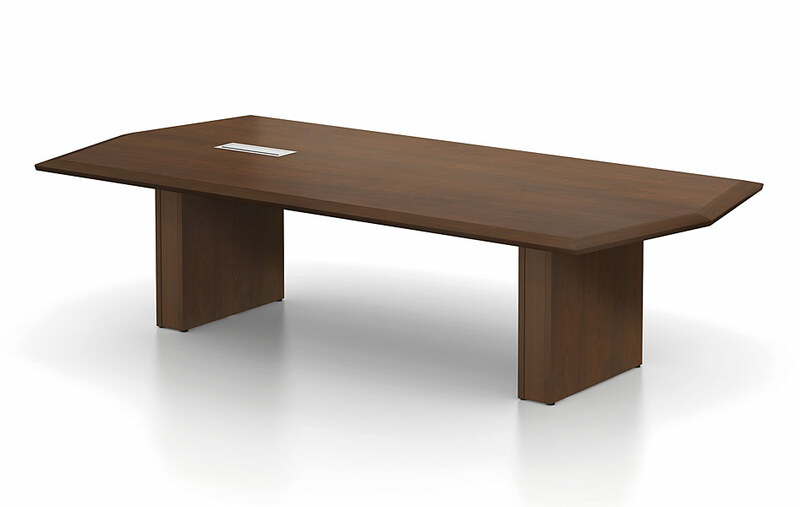 Each table is equipped with electric power outlets and accommodate HDMI, VGA, Audio, Data Connecctions, and USB Charging Ports. 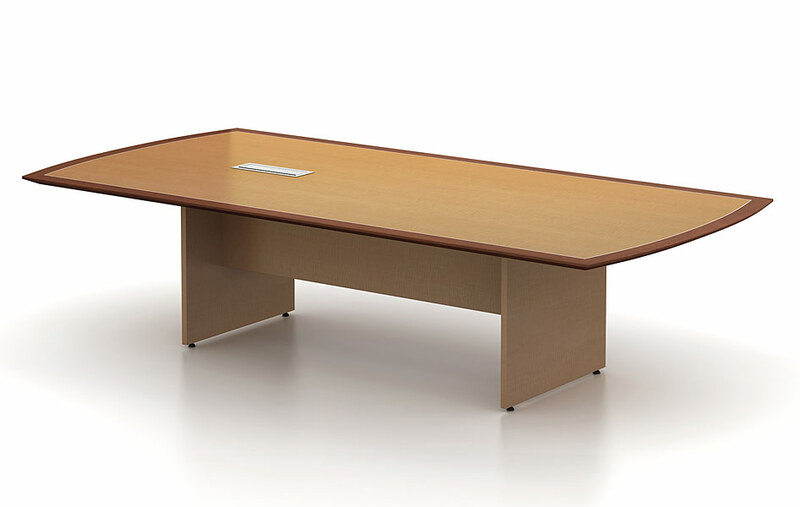 Click this link to view our other conference tables. 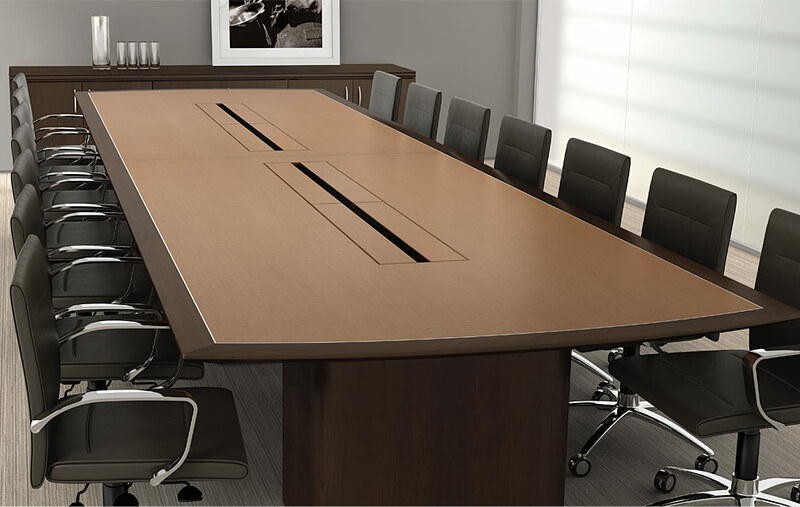 Fully-featured ACT conference tables provide ample support for the latest technology while preserving a formal elegance suitable for boardroom meetings, a conference center, or the corner office. Choose from a range of classic and contemporary styles in lengths up to 24Í. You can tailor the appearance with your choice of beautifully crafted edge detail. 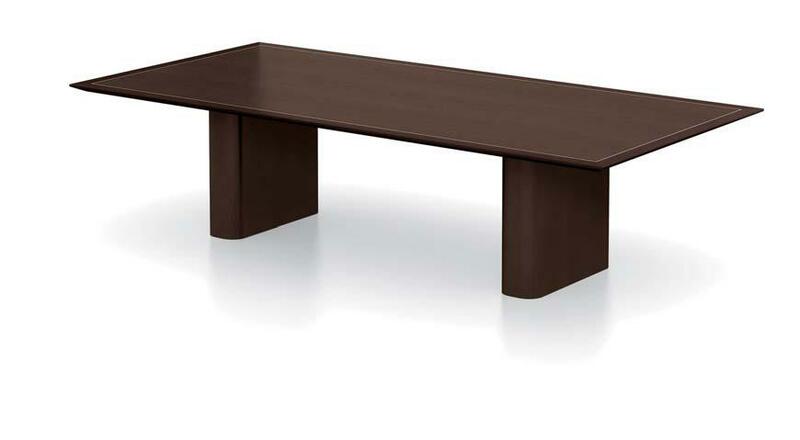 Table Base Alternatives: Metro, Radius Cube, Narrow Radius Cube, Panel, Half Cylinder and Full Cylinder. Built upon an American-hewn heritage in the Pacific Northwest, Sustainable Beauty is the true essence of Magna Design and reflects its commitment to the fine craftsmanship of modular office furniture. 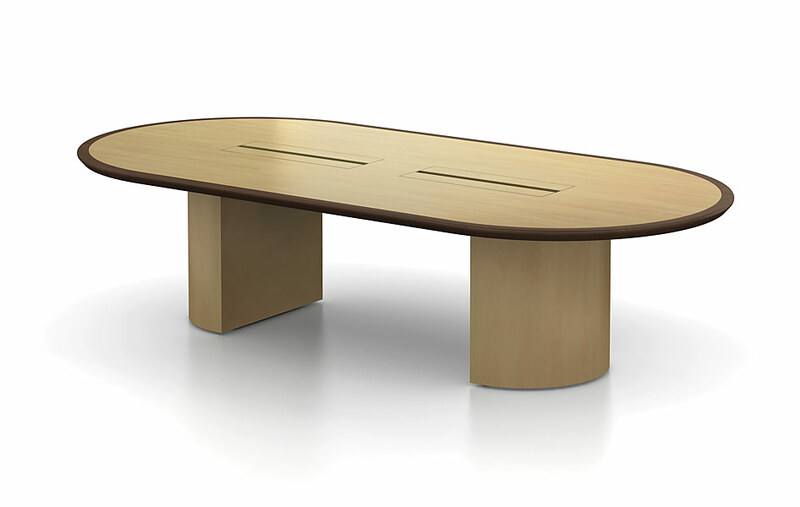 Magna Design conference tables provide refined, clean lines and a lighter scale suitable for conference rooms, board rooms, and small meeting rooms. Hardware and finish options enhance both contemporary and transitional aesthetics while efficient surface shapes make the most out of valuable real estate. 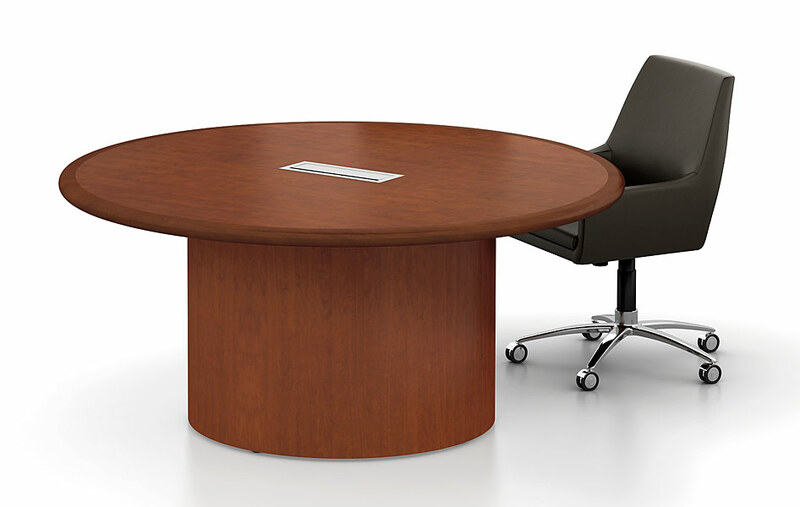 Click here for Conference Brochure and Conference Table Finishes. TodayÍs business environment demands flexibility. With convenient, quick-access power and data ports, Mini ACT tables keep workers connected and energized whatever challenges the day brings. 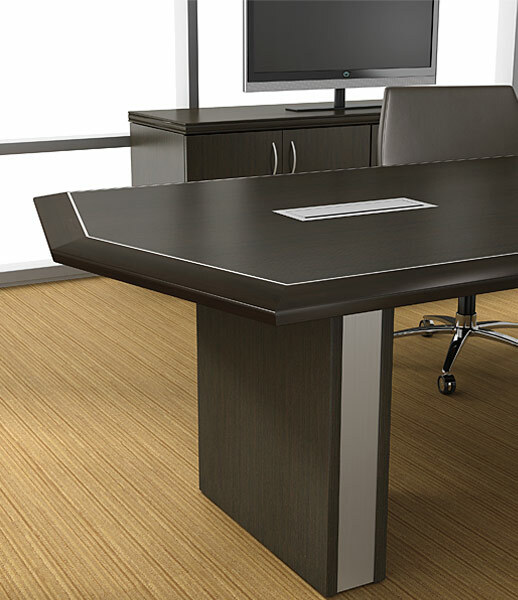 Mini ACT tables are a cost-effective solution for project rooms, team spaces, and impromptu work setting. A variety of sizes, shapes, and styles are available to meet any need and you can tailor the appearance with your choice of beautifully crafted edge detail. Bases; Metro, Radius Cube, Narrow Radius Cube, Panel, Half Cylinder and Full Cylinder.